For help with today’s post we turn the spotlight over to Ford and the Mustang Need for Speed Trivia Quiz in this month’s Ford newsletter. See how well you know Ford’s 2014 pony car and its role in the blockbuster hit. Answers are down below. 1. Who is the lucky actor who gets to drive this exhilarating vehicle throughout the film? 2. How powerful is the 2014 Ford Mustang GT engine? 3. 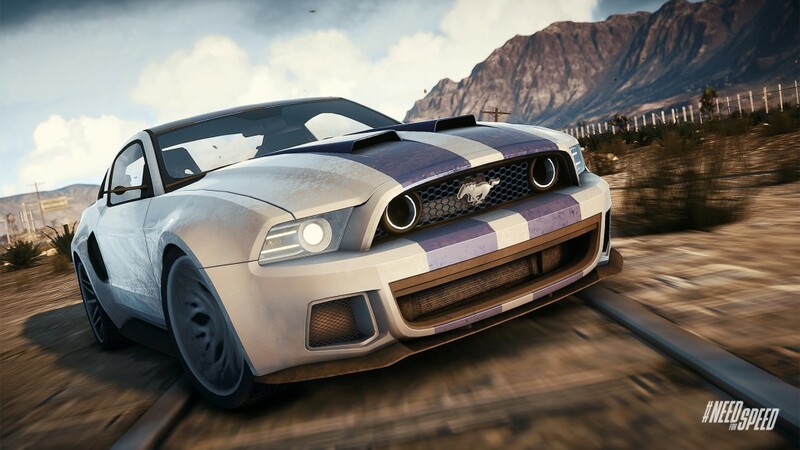 What other Ford vehicle makes its debut in Need for Speed? He straps in and stars as Tobey Marshall, a man in a cross country race who is out for revenge. The role was Aaron Paul’s first major part since Breaking Bad. The 2014 Ford Mustang GT has a muscular 5.0L engine that delivers impressive 5.0 liter V8 420 horsepower. Hold on to your horses! The film features the first on-screen appearance of the all-new 2015 Ford Mustang GT. You’ve got to see the bright red beauty for yourself to believe it!